The sun will come out, tomorrow! Yesterday, I found myself singing this song — very appropriate because today was beautiful. Even on my walk down to church, I realized that it was going to be a beautiful spring day. It did not diappoint. The temps topped out at around 70 before the breezes blew in this afternoon. For the first time in our four years here, the race hit us in a big way. We only had 28 this morning for worship. Several of our regulars have to work at the race and a whole bunch others were at the race. Our family took our regular Sunday drive past the track. At first it looked empty, but we were there earlier than usual, many were still coming into the track. Jimmy Johnson won his 5th race at Martinsville out of the last 6 tries. This has really become his track. Despite the fact the numbers were down because of the race we had great service this morning. Anytime there is a visible response to the message, I consider it a great service. I do realize that sometimes there is a response in the heart that is not know about — but I love to see that physical response — especially when someone responds to the altar. Tonight, church went on the road. Our district is divided into clusters (we used to call them zones) and we have a very active cluster. There are currently 6 churches actively involved and we have started holding a Sunday evening sing anytime there is a fifth Sunday. We gathered at Five Forks Wesleyan Church in Stuart. Pastor Jeremiah and Jessica and the Five Forks folks were great hosts. Several of the churches brought specials and there was some great congregational singing. We were even blessed by a visit from our District Superintendent. What a great night of worship that trancended styles and generations. I love our cluster pastors and will miss them greatly as we move up north in a few months. The great thing is that we meet for lunch this Friday and that is always a great time. I offered my back to those who beat me. When he suffered, he made no threats. Instead, he entrusted himself to him who judges justly. only to take it up again. but I lay it down of my own accord. more than twelve legions of angels? will draw all men to myself. Each week brings us closer to the cross. Next week is Palm Sunday, when we remember that Jesus entered Jerusalem among much fanfare. People were shouting and praising Jesus as he rode into Jerusalem on a donkey. People spread their coats and spread palm branches along the way. The people were ready to crown Jesus king that very day. Yet, Jesus knew ultimately what that ride into Jerusalem meant. Luke records it this way in his gospel chapter13, verse 22 22 Jesus went through the towns and villages, teaching as he went, always pressing on toward Jerusalem. I like the way that Luke records Jesus ministry. He describes it as a journey toward Jerusalem. Jesus was always pressing forward. Jesus knew the plan. Jesus knew that his ultimate goal was the cross and Luke records it this way. Do we know what our ultimate goal is? Our goal ultimately is to build the Kingdom of God. Yes our ultimate destination is heaven, but there is a Kingdom to be built here. It’s not a kingdom of brick and mortar – of flesh and bone – but an eternal kingdom – a kingdom that will last forever – a spiritual kingdom – a kingdom that won’t pass away. Our job as Christ-followers is to build that Kingdom – bringing people into to the Kingdom – not just giving them a ticket to heaven – but a life that is rich and full and free. Jesus called it an abundant life – We could call it living life to the fullest. Yet, this Kingdom is an upside down Kingdom – It doesn’t operate the way the culture we live in operates. In most cases, it operates the exact opposite. Jesus said if we want to find our life we must lose it. We are taught that we must grab life with all the gusto we can muster. We should look out for number one. We must do all that we can to gain power, prestige, and possessions. The Kingdom rules say if you want to be number one, you must be willing to be on the bottom. If you want possessions, you must be willing to give them all away. If you want prestige, you must be humble. No wonder, we are confused at times – we receive one message from the culture we live in and another message from Jesus. We are on a journey towards the cross. That’s what we are doing – preparing ourselves for the cross. The way of the cross isn’t always easy, in fact, many times it’s a difficult way. It’s contrary to human nature. What we want to look at this morning is that the way of the cross is a way of humble obedience and submission. Humble obedience and submission – those are not easy words again for us – especially in a culture that despises those characteristics as being weak or not necessary or even stupid. If we are to follow Jesus on the way to the cross, we must take a look at what it means and we must desire to be like Jesus even in this way. Jesus was God in the flesh. We looked at that quite a bit as we approached Christmas and the season following it. We called it the incarnation – Jesus who was God, came in the flesh and dwelt among his creation. The apostle Paul writes in Philippians 2: 5 You must have the same attitude that Christ Jesus had. 6 Though he was God, he did not think of equality with God as something to cling to. 7 Instead, he gave up his divine privileges; he took the humble position of a slave and was born as a human being. When he appeared in human form, 8 he humbled himself in obedience to God and died a criminal’s death on a cross. Jesus lived a life of humble obedience to His Father – the Lord, God Almighty. Jesus humbled himself to come as a human and humbled himself to the cross to be obedient to God. If Jesus who is God’s son was obedient to God in that manner, what does that say to us? Should we live lives of humble obedience and submission to God? The answer is yes. James writes in his letter: 7 So humble yourselves before God. Resist the devil, and he will flee from you. 8 Come close to God, and God will come close to you. Wash your hands, you sinners; purify your hearts, for your loyalty is divided between God and the world. 9 Let there be tears for what you have done. Let there be sorrow and deep grief. Let there be sadness instead of laughter, and gloom instead of joy. 10 Humble yourselves before the Lord, and he will lift you up in honor. Humbling ourselves before God means to give up our way of doing things and do things God’s way. Wash your hands – purify your hearts – lament – weep for your sins. Ask God how you can serve him. Put your life into his hands just like Jesus did. Remember the night in the Garden of Gethsemane. Matthew records Jesus’ prayer to his Father, 39 He went on a little farther and bowed with his face to the ground, praying, “My Father! If it is possible, let this cup of suffering be taken away from me. Yet I want your will to be done, not mine.” We need to live our lives in obedience and submission to the Father’s will, just as Jesus did. We need to live in submission to the Father – we must also live in submission to Jesus. We must live the way he lived. We must live the way He called us to live. In John’s gospel we find these words, ” 23 Jesus replied, “Now the time has come for the Son of Man to enter into his glory. 24 I tell you the truth, unless a kernel of wheat is planted in the soil and dies, it remains alone. But its death will produce many new kernels-a plentiful harvest of new lives. 25 Those who love their life in this world will lose it. Those who care nothing for their life in this world will keep it for eternity. 26 Anyone who wants to be my disciple must follow me, because my servants must be where I am. 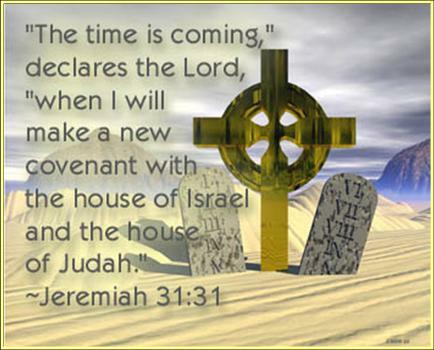 And the Father will honor anyone who serves me.” If you take a look at the gospel of John, you will see that several times before this that Jesus says to the crowd, “My time has not yet come.” Now Jesus states that His time has come. It’s time for Jesus to do what he was sent to earth to do. It is time to glorify his Father. We are reminded that those who love their life in this world will lose it – that those who don’t care for their life in this world will keep it. In order to be a disciple – in order to be a Christian – in order to be a Christ-follower, we must follow Jesus and we must be servants (living in humble obedience and submission) where Jesus is. Jesus tells us that those who serve him will be honored by God. I’m reminded once again of missionaries Jim Elliot and Nate Saint. These two men along with three others felt called by God to go to a terribly violent tribe in Ecuador to witness and show God’s love. There had been several “friendly” contacts via plane with the missionaries and the tribe. The missionaries felt in their hearts it was time to make face to face contact with the tribe. At first it appeared that the contact was going to be successful, but then the five missionaries met a tragic end. Six leaders in the tribe speared the five men and left their bodies for dead to be eaten by the turtles and other wild animals. These men were willing to give their lives for the Aucas. Because of their sacrifice and the willing sacrifice of others to finally go in and tell the gospel story, this tribe is now a primarily Christian tribe that goes and tells the gospel story to others. Jim Elliott said “He is no fool who gives what he cannot keep to gain what he cannot lose.” He also said he would give his own life to save the life of the Aucas. What if God asked you right now to give your life so that another might become a child of God? Could you do it? Those who went to the Aucas knew what it meant to give their lives for the sake of Christ and for the sake of the Gospel. It’s the way of the cross. That’s what it means to live a life of humble obedience and submission to Christ. While God may not ask you to do what may seem like super-human tasks – he does ask us to share the gospel with those who need it. He asks us to live our lives humbly and in submission to Him so that others can see the love we have for God and his Son, Jesus. The way of the cross can also be seen in our human relationships. Paul writes in his letter to the church at Ephesus: 1 Imitate God, therefore, in everything you do, because you are his dear children. 2 Live a life filled with love, following the example of Christ. He loved us and offered himself as a sacrifice for us, a pleasing aroma to God. Paul is just getting started. Here’s what it means to follow the example of Christ: 3 Let there be no sexual immorality, impurity, or greed among you. Such sins have no place among God’s people. 4 Obscene stories, foolish talk, and coarse jokes-these are not for you. Instead, let there be thankfulness to God. 5 You can be sure that no immoral, impure, or greedy person will inherit the Kingdom of Christ and of God. For a greedy person is an idolater, worshiping the things of this world. Why does Paul write about these things? Paul is writing these things because he wants us to be an effective witness to those around us. One of the things that I try to do – I say try because I’m not always successful – is to live my life authentically and realistically. I really try to be authentic in my relationships with others – I try to be real in front of people. All kinds of people have told me that they appreciate that. I don’t try to be someone I’m not. I’ve said this before – A person who does not know Christ or who is seeking Christ can spot a phony a mile away. I live my life authentically before Christ that I can draw people to him for the glory of God the Father. Paul continues: 15 So be careful how you live. Don’t live like fools, but like those who are wise. 16 Make the most of every opportunity in these evil days. 17 Don’t act thoughtlessly, but understand what the Lord wants you to do. 18 Don’t be drunk with wine, because that will ruin your life. Instead, be filled with the Holy Spirit, 19 singing psalms and hymns and spiritual songs among yourselves, and making music to the Lord in your hearts. 20 And give thanks for everything to God the Father in the name of our Lord Jesus Christ. 21 And further, submit to one another out of reverence for Christ. This last sentence comes before a famous passage of scripture that speaks about submission and love between a husband and wife. But I want to take a look at verse 21 – Submit to one another out of reverence for Christ. One of the most important things the church (that is the body of Christ) can do is to submit to one another. I know I’ve used this illustration before, but I’ll use it again because it gets the point across. I’ve been playing in bands of one type or another for many years. For many of those years, I was the bass player. The bass players’ primary job is to be the foundation of the harmony and the rhythm. If the bass player tries to do too much or tries to be the lead guitar player, he has failed in his job. In my younger days on the bass guitar, I really overplayed. I listen to some of those tapes and CD’s and wonder why I ever tried to play every lick I knew in five minutes. Today I play, mainly acoustic guitar – that instrument provides the basic chord structure and helps define the rhythm of the band (along with the other rhythm instruments.) If a band is hitting on all cylinders, you will know it, because each instrumentalist is submitting to the others – only doing the part that their instrument does the best. I love to watch a really good bluegrass band or jazz ensemble, because these guys really know what it means to serve the music and to submit to the music. They know that submission enhances the submitter. If we bring that over to our Christian walk – submission enhances the submitter. When Jesus submitted to the Father’s will, it enhanced him. When Jesus submitted to the way of the cross – he was enhanced. The same thing happens in our lives – when we submit to God – when we submit to Jesus – when we submit to each other – when we submit to the way of the cross – it is really the only way to go. Holiness is power, courage, faith! Over the past few weeks, we have looked at some of the different covenants that are in the New Testament. We have not covered them all here or in my preaching. We did look at God’s covenant with Noah and God’s covenant with Abraham. One of the more important covenants is God’s covenant with Moses. This was the covenant in effect for most of the Old Testament. God said that he would protect and bless the people of Israel if they would follow his laws. It could really be summed up by this verse: “Hear, O Israel, the Lord your God is One…And you should love the Lord your God, with all of your heart, with all of your mind, and with all of your strength.” Over the hundreds of years that followed the Israelites tried with everything they could to follow — there was the vicious circle of obey, fall away, be run over by foreign lands, repent, God restores. Then they would obey and fall back into the same cycle over and over again. 7 While Jesus was here on earth, he offered prayers and pleadings, with a loud cry and tears, to the one who could rescue him from death. And God heard his prayers because of his deep reverence for God. 8 Even though Jesus was God’s Son, he learned obedience from the things he suffered. 9 In this way, God qualified him as a perfect High Priest, and he became the source of eternal salvation for all those who obey him. 10 And God designated him to be a High Priest in the order of Melchizedek. No longer would we have to sacrifice animals to take away our sins. Jesus now qualifies as the high priest and the sacrifice and now we can go to God directly through his Son Jesus. Jesus gives us salvation that nothing else could.